Samsung may be getting ready to announce a Galaxy S9 and an S9+ at MWC 2018 next month, but its Galaxy Note series is (probably) not going to be refreshed until the second half of the year. And that makes sense, as the Galaxy Note 8 is only 4 months old now, so it doesn't need a replacement yet. With that in mind, we're not surprised to see that Samsung just shared a couple of new how-to videos featuring the Galaxy Note 8. 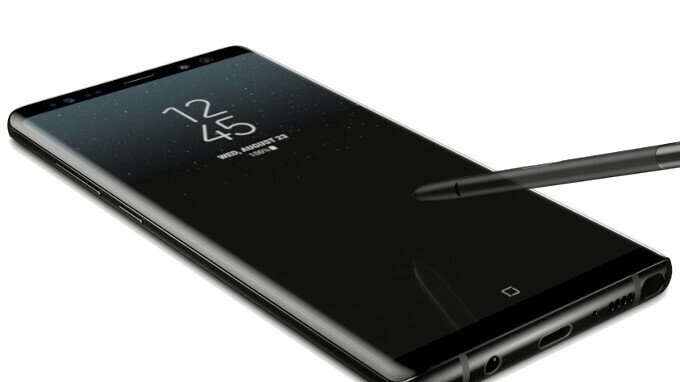 The first new Note 8 video shows what can be done to maximize the battery life of the handset - including using dark wallpapers, disabling animation effects, and customizing a power saving mode. The second video is a tad shorter, and shows how to setup mobile hotspot on a Galaxy Note 8. Of course, these are things that plenty of users already know how to do. However, if you're new to Samsung Galaxy devices, or new to smartphones in general, Samsung's two videos - both embedded below - should be of help. Nifty. Though such tutorials are plenty on YouTube.